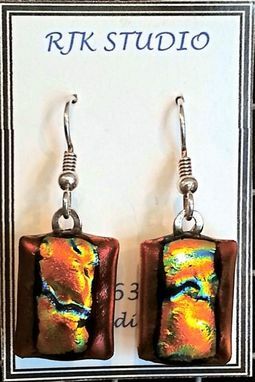 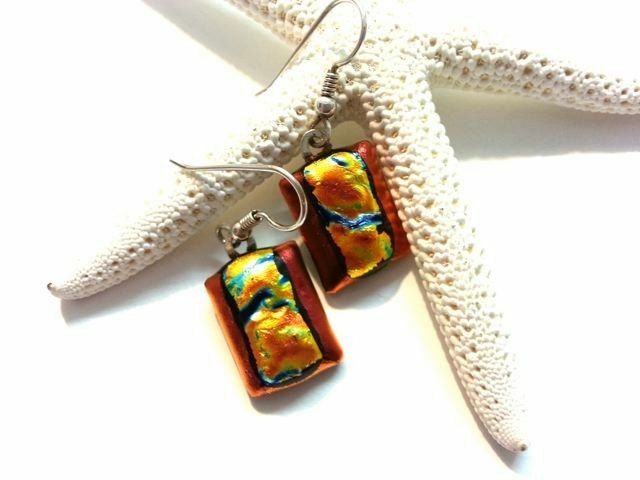 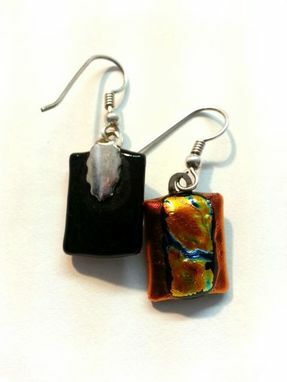 These dual-toned glass earrings fuse regal red orange and a psychedelic gold splotched with iridescent shades of green, blue, and more. The heat-flashing process utilized to create the gold and red segments of the jewelry give it that extra sparkle , the array of colors and hues present in dichroic glass. 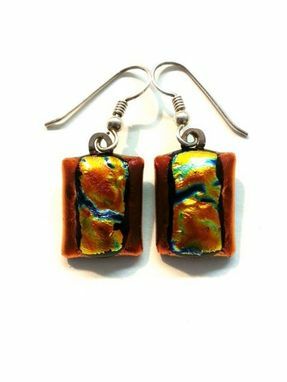 These rectangular earrings measure approximately 17mm x 12mm, excluding the sterling silver loop and hooks.